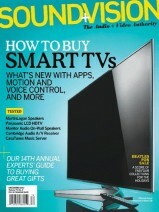 Get afree Subscription to Sound & Vision from Mercury Magazines. Fill out the form at the right side of the page. Select the magazine then complete the delivery information form. This is a one year complimentary subscription.